One from a series of 10 drawings- all 5 1/2" x 7 1/2. 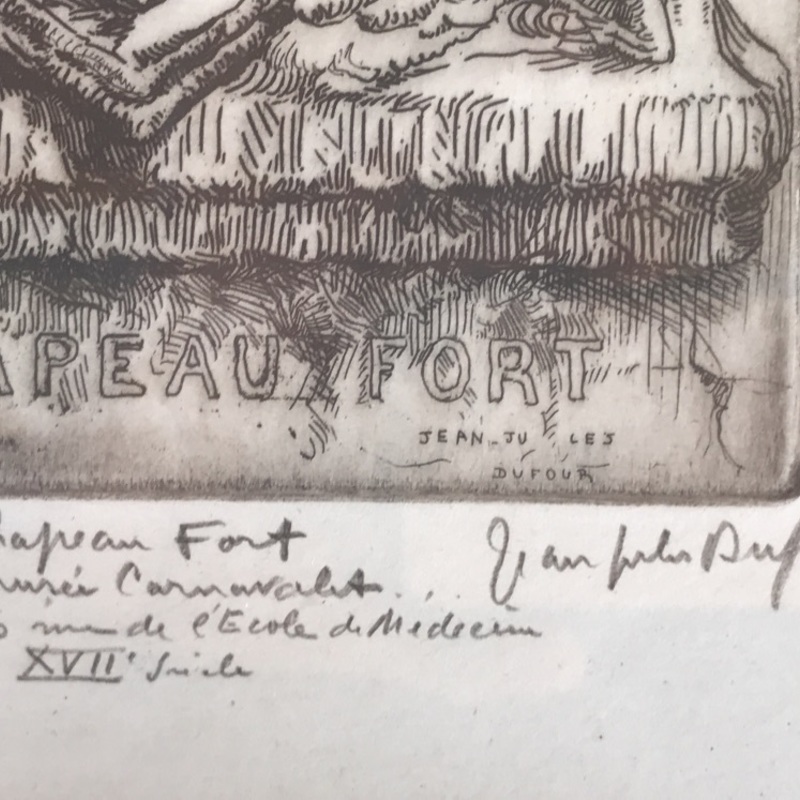 The artist is Jean Jules Dufour (from the bottom below the word "Fort"). They have been in the family for many years. Drawings belong to the Sproul family. The children believe that their deceased parents inherited them or bought them in their own travels. Thank you for submitting your item for appraisal. This appears to be an etching by Jean Jules DUFOUR (1889-1973). Apparently depicting something he saw in the Musée Carnavalet. The set of ten etchings was printed in an edition of 25. The etching is signed both in the plate and with pencil by the artist. The estimate is based on similar sets of ten etchings sold or offered at auction. There is no measurement for the sentimental value you might attach to the item. Could you clarify if the estimate is for the one etching or for the set? Hi Joanne, it is for the set of ten. Giclee print? signed by artist.